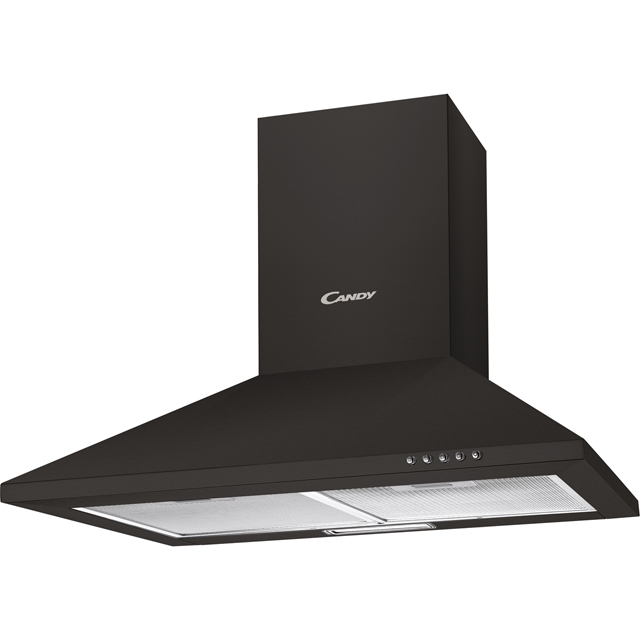 Enjoy an odour-free kitchen with this black chimney cooker hood from Candy. It’s 60cm wide, which makes it ideal for use above a standard-sized hob. And, with a maximum extraction rate of 305 cubic metres per hour it’ll easily clear the air in any small kitchen. So even if you’re cooking an aromatic curry or – heaven forbid – you burn the dinner, the smells won’t linger in your home. It has a medium noise level of 62dB, similar to a family chat over a meal. And, it has easy-to-use push button controls, which make it simple to adjust the settings or turn on the LED light to get a better view of what you’re cooking.